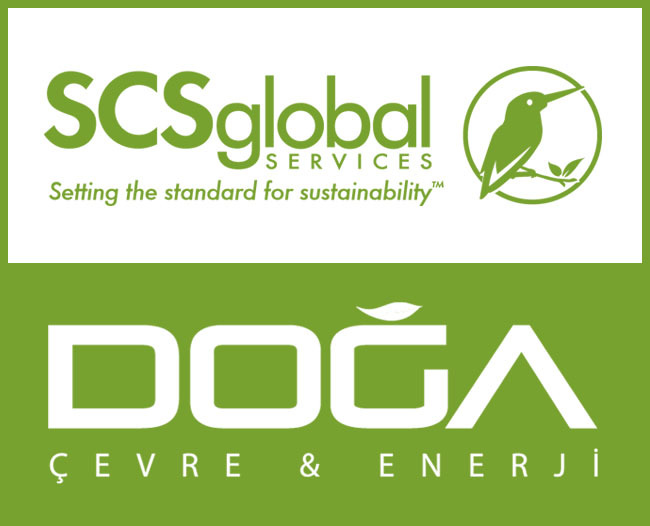 EMERYVILLE, Calif., January 9, 2018 /3BL Media/ — SCS Global Services (SCS) is pleased to announce that it has partnered with DOĞA HSE Group to extend SCS’ internationally recognized sustainability services into Turkey. DOĞA will serve as SCS’ local representative in Turkey, offering a range of sustainability services and certifications for products and manufacturers. “The partnership will support the efforts of manufacturers in Turkey to create value and compete successfully in global markets for sustainable products,” said Sertaç Güven, Managing Director of DOĞA. DOĞA will offer a comprehensive suite of sustainability services and certifications, including recycled content certification and validation of environmental claims, sustainable supply chain services, SCS Indoor Advantage and SCS Indoor Advantage Gold indoor air quality certifications, BIFMA level®e3 for furniture, carbon footprinting, life cycle assessment (LCA), Environmental Product Declarations (EPD), and Health Product Declarations (HPD). Through these services, manufacturers’ products will qualify to meet global green purchasing requirements, as well as criteria of the world’s leading green building rating systems, including LEED®, BREEAM, WELL®, Estidama® and many others. With expertise across a wide-range of natural resource, manufacturing, and industrial sectors, SCS is one of the few certification bodies with the ability to assess companies, domestic and international, for several multi-attribute and indoor air quality standards. SCS has been a global leader in third-party quality, environmental and sustainability verification, certification, auditing, testing, and standards development for more than three decades. Its programs recognize achievements in the product manufacturing, green building, food and agriculture, natural resource management, carbon offset, and energy markets. SCS is a chartered benefit corporation, reflecting its commitment to socially and environmentally responsible business practices, and is a recipient of numerous sustainability and certification provider awards. Operating for over half a century, DOĞA HSE Group is a leader in the provision of training, audit and consultancy services related to occupational health and safety (OHS) and the Environment. DOĞA is the first and only global partner of British Safety Council, established in 1957 and one of the leading OHS organizations in the world. Its tailored solutions guide the sector for development and implementation of OHS management systems by creating safe workplaces. DOĞA provides sustainable building analysis tools tailored to suit the individual needs of each customer, as well as LEED consultancy services under DOĞA Environment and Energy.